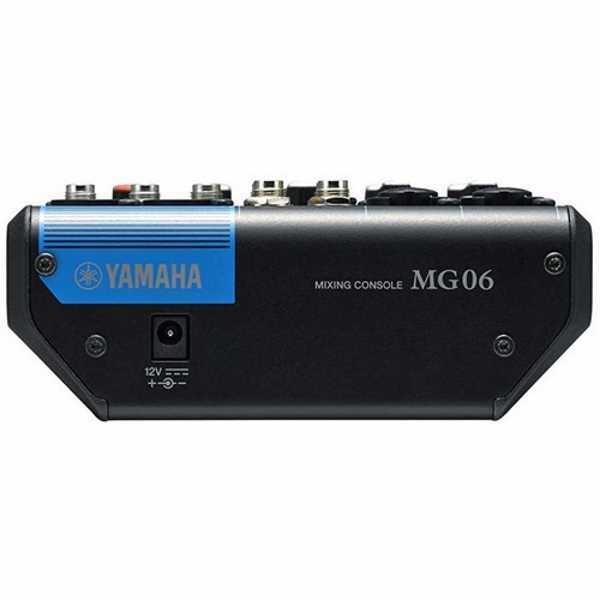 The MG06 from Yamaha is a compact six-input mixer for small performances, lectures, recordings and similar applications. The mixer features two mic/line combo inputs with D-PRE mic preamps as well as four 1/4″ line inputs with stereo level controls. Each of the two mic/line inputs is equipped with a 2-band EQ and a high pass filter. The D-PRE mic preamps feature an inverted Darlington circuit and switchable 48V phantom power for use with dynamic and condenser microphones. 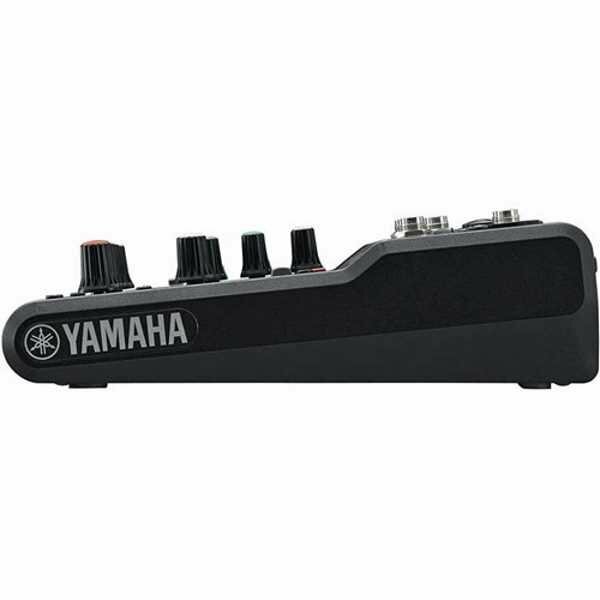 They also each feature 26dB attenuation switches for recording loud sound sources such as guitar amplifiers. The MG06 mixer has stereo XLR outs for connecting to your PA system or monitor speakers. 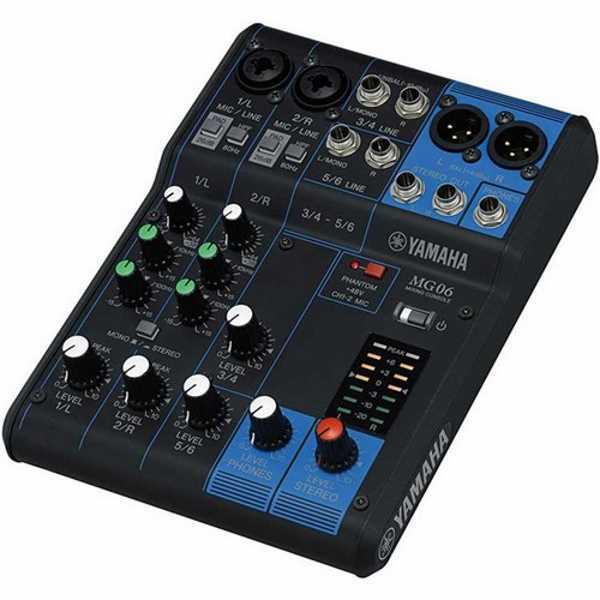 It also has a 1/4″ headphone output with level control for personal monitoring, as well as TRS 1/4″ stereo outs for sending to powered speakers, amplifiers or devices such as digital recorders.